Since we are starting out the new year with traveling through Canada, I thought we'd take along an audiobook or two or three. Before you turn up your nose at audiobooks, you have to know that I haven't always liked them either. Up until last year, I had great difficulties even listening to one. My problem is voices. If I find a voice annoying, then forget it. So I have to listen to all the samples, make sure I like the narrator. Then I discovered I have a preference for female narrators versus male. The ladies just seem to do a better job of male voices. The males end up sound like those performers in those off broadway female impersonator shows and throw me completely out of the story. Just think Patrick Swayze and Wesley Snipes in To Wong Foo Thanks for Everything Julie Newmar and you'll understand. I started listening to audiobooks in the car which had the interesting side effect of not worrying about all the idiot drivers on the road and enjoying the ride. After a period of time found myself listening while gardening or drawing - relatively mindless, put your mind on auto pilot tasks, otherwise I'd tune them out. Now I love audiobooks and have been working my way through J.D. Robb's entire series of In Death. I've already read the series twice but listening to it is an experience in itself. Alright, have I talked you into trying an audio book yet? Which brings us to our tour through Canada with Canadian authors. Who better to start with than Margaret Atwood. She is most well known for the dystopian story, The Handmaid's Tale, which I read eons and eons ago. I'm trying to decide which one of her other stories I should try now. And if you enjoy dystopian, then you would probably enjoy the world of werewolves and demons with Kelley Armstrong or William Gibson's world of cyberpunk. I just started reading Neuromancer which is supposedly the book that captured the imagination of lots of writers and inspired the film, The Matrix. Looks like I'll be doing a book to movie comparison at some point. 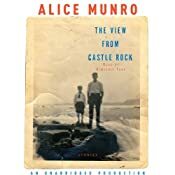 If fiction isn't your thing or you just want to learn a bit of Canadian history check out Pierre Berton, or Farley Mowat, or relax listening to the stories of Alice Munro or Jane Urguhart or Miriam Toews. I like to play audio books for the kids (to save my voice! ), but I have a couple who are VERY picky about the voices. That's what I like about audible.com is that they have samples of every book so you can hear what the narrator sounds like. This is my first year. I finished 2 books this week! I'm on my third book as well halfway done but I should slow down a bit after that because I have to go back to work this week. It's nice to have a good solid lead. Thanks for the dystopian suggestions! Have not tried audio books. I do want to read Canadian authors. Thanks for the suggestions. My daughter loves audio books, so it's good to have this list. Thanks! She gets most of hers from Librivox. I have to try out librivox soon! I reviewed an audio book this week too. Hope you had a nice holiday. Great. Will be by to check it out. Happy New Year! When I find a narrator I like, I see what else they have narrated and have found some new books I never would have thought to pick up. Good idea. Once I'm done with the In Death series, will check out other books narrated by susan erickson. By the way, my Week 3 is a librivox.org recording that is excellent! Nope, you haven't failed. 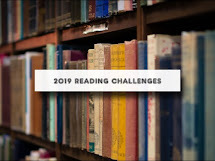 There is no failing with this challenge as long as you are reading. You don't have to post or link each week so don't worry about that part. Just post on the current link to let us know what you are reading and how you are doing. I'm actually a two books per week reader so I will not be challenged. But for Canadian writers, I would highly recommend Louise Penny. You must start with the first book and then you will run back to the library to get the next one. Perhaps you will be reading up to my speed in no time flat! These are my favorite all time books. You will fall in love with Mr. Gamache as I have. I read The Brutal Telling several years ago and don't remember why I didn't like it, but there was something. 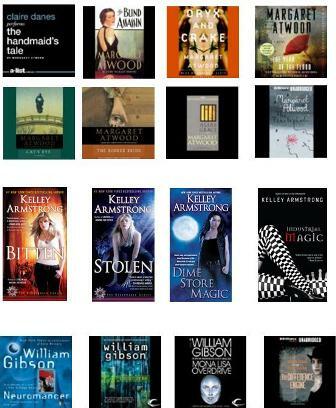 I probably should have started with the first book so put Still Life on my wishlist. When my buying ban is over, I'll give her another try.